The few, the proud, the “those with nothing better to do” among you probably know by now that I always begin my articles with a completely pointless introductory paragraph before I approach my obligatory plot summary. Not this time, folks. I’m reviewing The Lego Movie this week and I cannot postpone my excitement. I’m getting it out in the open right now: The Lego Movie is perfect. If you disagree with me, then you are wasting your time in reading this review. Go read a book. If you agree and desperately need your opinions validated by an unpaid internet movie critic, read on, dear friend. If you haven’t yet seen The Lego Movie and need a reason to do so, you’re in luck. The Plot: Emmet (Chris Pratt!) is a regular, ordinary, unassuming Lego minifig living a regular, ordinary, unassuming life in a Lego City, in which every aspect of the minifigs’ life runs according to strict instruction manuals under the tyranny of the cruel, but seemingly friendly Evil Lord Business (Will Ferrell! ), who’s secretly planning to glue the universe together. Opposing him is a small group of creative geniuses, the Master Builders–including, but not limited to, Vitruvius (Morgan Freeman! ), Wyldstyle (Elizabeth Banks! ), Captain Metalbeard (Nick Offerman! ), 1980s Space Guy (Charlie Day! 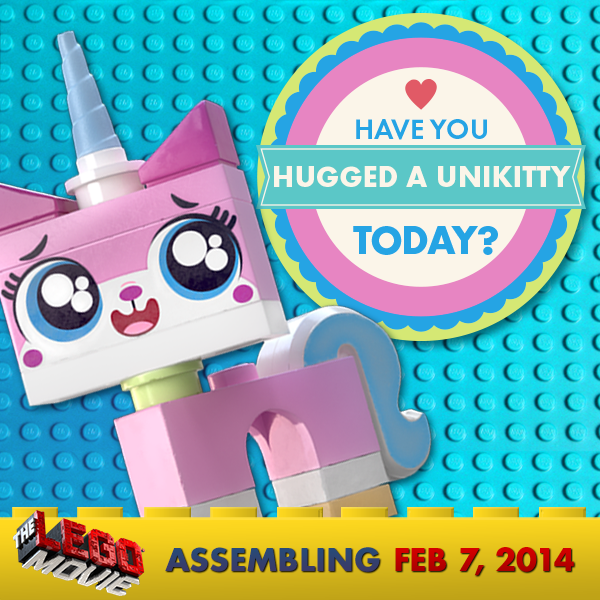 ), Unikitty (Alison Brie! ), and Batman (Will Arnett! )–who believe that Emmet is the Special, the truest, most creative, most interesting Master Builder of all time, and that only he can stop Lord Business, all the while trying to avoid Business’ goons, led by the nefarious Bad Cop (Liam Neeson!). Ugh, and Unikitty is just adorable. Some background: I love Lego. In my house when I grew up we didn’t have a box of Lego. We didn’t have a few sets here or there. We had a Lego room. More accurately, we have a Lego room. Lego shaped my childhood, in many ways. It determined my creativity. Basically, what I’m building up to here is that I had staggeringly high expectations for The Lego Movie, especially with a cast that expanded to included Channing Tatum as Superman, Cobie Smulders as Wonder Woman, Jonah Hill as Green Lantern, Will Forte as Abraham Lincoln, Shaquille O’Neal as himself, and other guest stars including, but, again, not limited to William Shakespeare, Milhouse, Michelangelo the Ninja Turtle, Michelangelo the Artist, Dracula, Robin Hood, The Creature from the Black Lagoon, Cleopatra, Medusa, Dumbledore, Gandalf, Han Solo, Chewbacca the Wookie, Lando Calrissian (voiced by Billy Dee Williams! ), C-3PO (voiced by Anthony Daniels! ), and even my personal favorite, the Lego original character Johnny Thunder. So, take that Anchorman 2, you were out cameo-ed. AMERICA: The greatest Master Builder. The comedy doesn’t hinge on the cameos, though. There’s a fair amount of rib-nudging, “He’s in this movie, too! ?” but it’s not the definitive joke. Christopher Miller and Phil Lord, also responsible for the funnier-than-they-should-have-been 21 Jump Street and Cloudy with a Chance of Meatballs, generate a sense of humor that can only be described as creative, inventive, clever, unexpected, and brilliant. In other words, the comedy is perfectly catered to the medium: Lego is all about creativity and invention; it’s about how many different ways you can combine seemingly disparate elements to produce something amazing. Miller and Lord apply this principle to their writing and it’s beautiful. Man, the other really impressive bit of this movie is the animation. It’s not stop-motion; it’s computer-generated, but they used the most advanced software out there to make sure that every Lego brick looked like it was real. They did not easily animate landscapes or buildings, either. Every single set and location in the film, even the dust and smoke and water, were designed in the official, free to download, Lego Digital Designer. The whole movie was constructed in there, using pieces that exist, because Miller and Lord wanted the world to be something that anyone could theoretically construct on their own. They wanted the actual movie to feel the same way, so they animated the minifigs and vehicles as if they were stop-motion. They even added slight lags between frames. It’s such a wonderful gesture, saying that the only thing that separates this movie from a movie that you make in your bedroom is the incredibly Hollywood budget, but otherwise, you could do this. I appreciated this as someone currently in the arduous process of making a stop-motion film. Look how they even get the light to bounce off the bricks the right way. Of course, the greatest challenge facing Mr. Lord and Mr. Miller was to avoid producing a 100-minute commercial for Lego. Unsurprisingly, they excel. 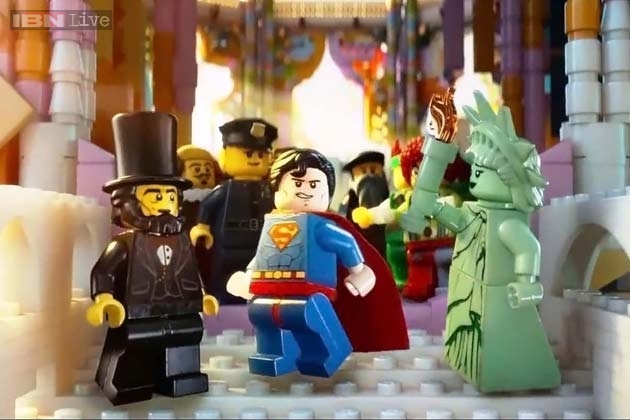 The Lego Movie is much more than endless product placement. This is partly derived from the excellent storytelling, comedy, and, yes, character development, but also through the message of the film. Though specifically about Lego, the message is that toys are meant to be played with, not glued into place for a display, and that can be applied widely. A child’s creativity is a glorious, fleeting thing, and it must be cherished for as long as possible. If a kid doesn’t want to follow the instructions, if he or she just wants to build something from their imagination, they should totally do that. All right. It’s time. SPOILER SPOILER SPOILER SPOILER, SERIOUSLY UNEXCPECTED STUFF IS GOING TO GET SPOILED IN THIS PARAGRAPH. At one point, Emmet falls off the face of the earth into a dark, swirling abyss. He falls for what feels like an eternity, and lands on pavement, in a strange, non-plastic world, wherein he cannot move. Yes, this is the real world. I was very nervous when they took this direction, but boy, did they ever pull it off. Emmet lies motionless for a while, observing all around him vast cityscapes crafted to perfection, old medieval castles, a Wild West area, a Pirate area, and so on, all on separate tables, all beautifully made according to the instructions, and all complete. Suddenly a child emerges and retrieves Emmet, and Emmet sees a collection of things that weren’t built by the instructions, and he sees his friends, battling the evil doers. Then, an adult man descends the stairs: Will Ferrell, who scolds the boy, asserting that Lego is not a toy, it’s not meant to be played with, and that these are daddy’s models. What ensues is a touching scene cutting back and forth between the minifigures’ struggle against the horrible glue machine, and the boy’s attempts to convince his father of the potential for creativity that Lego holds. It’s awesome, and yes, it really spoke to me deep down inside. My dad was never like that, and in fact he often encouraged us to dismantle sets and build new things, and that’s the reason why I love Lego today and why I have any sort of creative mind at all, but I definitely knew kids who weren’t allowed to take apart sets once they were made. Lego is a construction toy. Its success as a corporation hinges on people buying the sets that they design, on convincing people that this is the way the bricks are meant to come together. The Lego Movie demonstrates that they understand what makes their product great and unique, though: not the bricks themselves, not the designers who craft the sets, but hands that play with them and the minds that imagine. I grew up on LEGOs – the original Pirate series especially – and still get a set every Christmas. 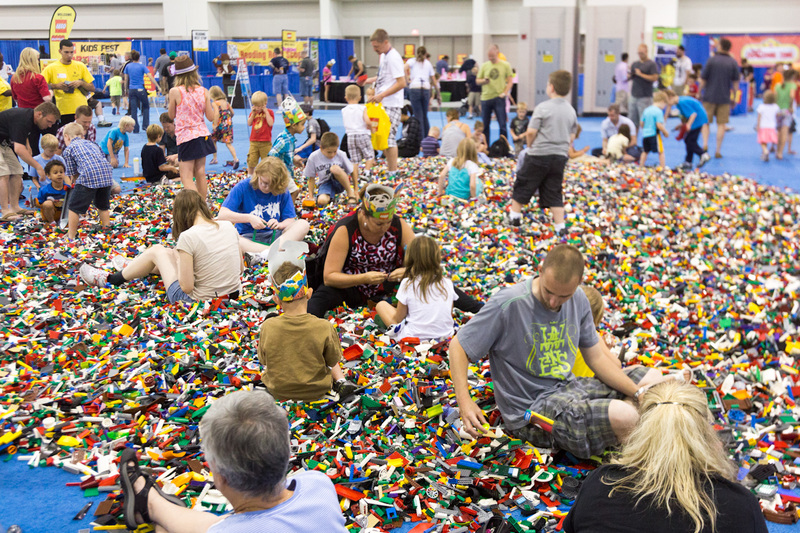 I’m glad to see that rather than fading into obscurity, LEGO is still one of the greatest things for kids and adults. Love Legos! Bought them for my kids. They are adults..and I still buy them some sort of Lego something at Christmas. My daughter married a Lego loving fellow too. Just went to see this at the cinema, LOVED IT COMPLETELY! I have not seen it but I agree. Reblogged this on Expecto Patronum. My son has always loved legos. I was definitely reluctant to see this, (wondering since we were the only ones in the theater that weekday evening) maybe I could turn on my kindle and simply read through the movie. There was absolutely no need. This movie was one of the best movies of the yr thus far. My son and I go everywhere singing, “everything is awesome” and make believing of unikitties. Loved this review. Will be happy to read more to come. Outstanding movie I want to watch this ! Reblogged this on The Misadventures of The Kid. Everything in that movie is Awesomeee!!! I loved this movie . Like everyone here, I absolutely loved the Lego Movie. It is so endlessly positive. I also love it encourages kids to play any way they like, breaking away from the instructions is great but so is following them. The Lego Movie just wants you to play. Reblogged this on Emphatic Blogs. I loved the movie it was very funny. Everything is very Awesome. The character I like was Wildflower. 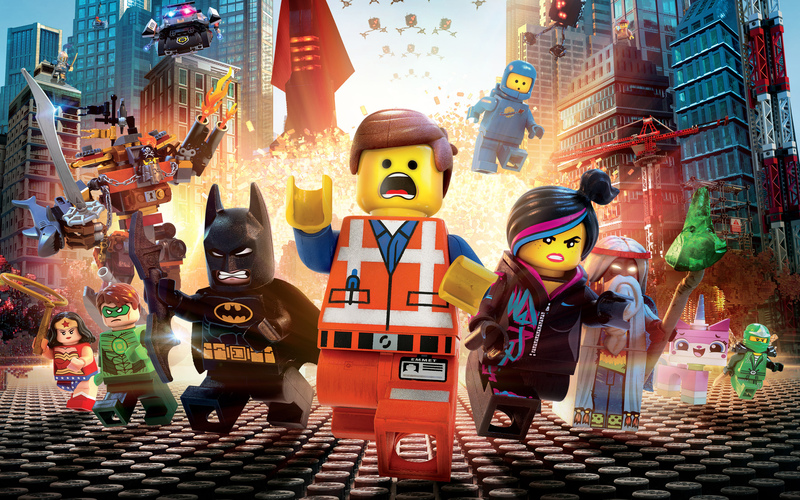 From scene one, The Lego Movie is maniacal in its comic delivery.